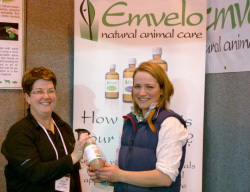 Emvelo Products Ltd announced that they are delighted to be supporting two young event riders for the coming season. Harry Dzenis from Haslemere, Surrey and a member of the World Class Development Squad is now running his string of talented horses from his base in Surrey. 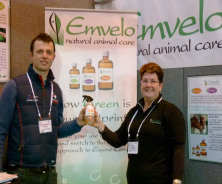 Previously, Harry has achieved gold medals at both the Junior and Young Riders Europeans. His main aim this season is being on the winning team at the European Young Riders Championships at Blair Castle and also hoping to achieve an individual medal. Alice Pearson from Herefordshire, previously a member of both Junior and Young Rider Eventing squads is also campaigning a string of horses across all levels this season. Having had a great result at her first four star at Burghley last year, Alice is taking her top horse to Badminton this April for the first time.